I love going to art galleries and museums, but sometimes I do feel truly baffled by some contemporary art. However, when my best friend found this book and suggested I give it a read, I found that it started to make a bit more sense. 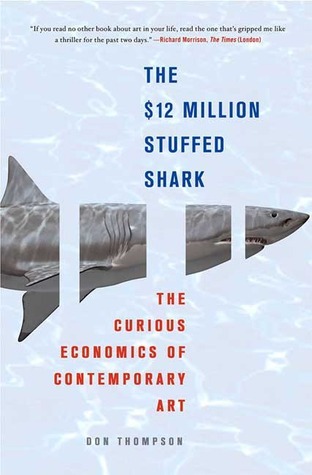 I think art lovers and those still on the fence will both enjoy The $12 Million Stuffed Shark: The Curious Economics of Contemporary Art by Don Thompson. There was something really mesmerizing about this book. I think it was just fascinating to learn more about the business side of art which deals with people who are able to spend more on a piece of art than I will probably earn in my entire life. The book deals a lot with the difference of cost and worth and shows how marketing and jealousy can really work to a an artist’s advantage when selling art. I can’t say that I will enjoy contemporary art more after reading this book, but I do have more of an understanding and appreciation for it on the whole.